Our latest Sporadically featured OCNA Cache is a Moving Cache, The Infiltrator, owned by OCNA username Termite Hunter from the Charlotte, North Carolina area. Whom, by the way, is the first person ever to have two of their caches sporadically featured on this blog! As of the date of this Blog post, this is also the most found cache on our website, although it hasn’t always been, and may not always be. We accept moving caches on our website, and always have during our 3 1/2 year existence. So too do all our fellow alternative Geocaching websites. Best we can tell, Geocaching.com stopped accepting them in mid-2003, although there are exceptions, and later ones that “slipped through the cracks”. In this post, we will talk about how Moving Caches work, the history of Moving Caches, and of course we will have some commentary from Termite Hunter on this Moving Cache. We will also tell the amazing story of The Infiltrator being “muggled”, and later returned to it’s hiding spot by that same Muggle, as the OCNA blogger was personally involved in that situation! We’ll just take the definition from Cacheopedia, the definitive Geocaching Wiki on the web. They are referred to as Traveling Caches there, although the term Moving Caches seems to be in more common useage. “A traveling cache is a cache that travels from place to place. If a finder decides to move the cache to a new location, they are required to provide updated coordinates and sometimes a new hint. Some contain a logbook and a single item, such as an action figure or stuffed animal, that is supposed to stay in the cache. Depending on their size, they sometimes contain additional trade items.” Owning a moving cache is a lot of work; the cache owner must update the coordinates every time the cache is moved. Although the original intent seems to be for Moving Caches to be moved from location to location and hidden in the field, most existing ones tend to be carried to Geocaching events (more on that later). Note that Moving Caches were never a specific cache type on Geocaching.com, but rather a variation of the Unknown/Mystery Cache type. This is not the case on our website, where a Moving Cache is it’s own type. The Moving Cache variation (again, as opposed to type) first appeared on the world’s oldest existing, and No. 1 Geocaching website, Geocaching.com, of course. In an ironic twist, the first moving cache (and also the first known cache to have the “?” icon) was based in the Charlotte, North Carolina area! This September, 2000 placed cache, Octopus Garden, still exists, although it was converted to a simple non-moving puzzle cache in 2004. It is also the first (and obviously oldest) cache in North Carolina, and we will hear more about about it later. By running a Pocket Query of this bookmark list on Geocaching.com, we see the two oldest existing Moving Caches were placed in June 2001 and July 2001 respectively by long time Groundspeak volunteer reviewer Mtn-Man, who is from Georgia. As previously mentioned, this cache variation seems to have been outlawed on that site around Mid-2003, although a few later ones slipped through the cracks, most notably in Europe. It also appears some of the later ones were allowed if they were restricted to a single Park. 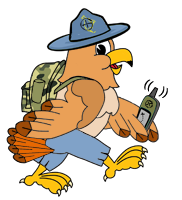 In addition to all the alternative Geocaching websites who have always listed them, a dedicated website named movingcache.com emerged in December 2004 and lasted until June 2006, although most of it’s players and listings were in Western Canada. Regarding what he was hoping for when he placed the Infiltrator Moving Cache, he said “I had really wanted the Infiltrator to be hidden in several GC caches as it traveled so that it could found by the unsuspecting exposing them to something they were unaware of. In the end it gets carried to events and passed around for all to sign with few actual logs posted. There are FAR more signatures than there are logs. It probably gets to see more people that way but I think some of the surprise magic of just running across it is lost.” Whoops, the OCNA blogger himself once took it to an event in Niagara Falls, N.Y. :-). But he did also place it in the wild. More on that later. Mr.Yuck, the OCNA Blogger, mentioned taking the cache to a Geocaching event. 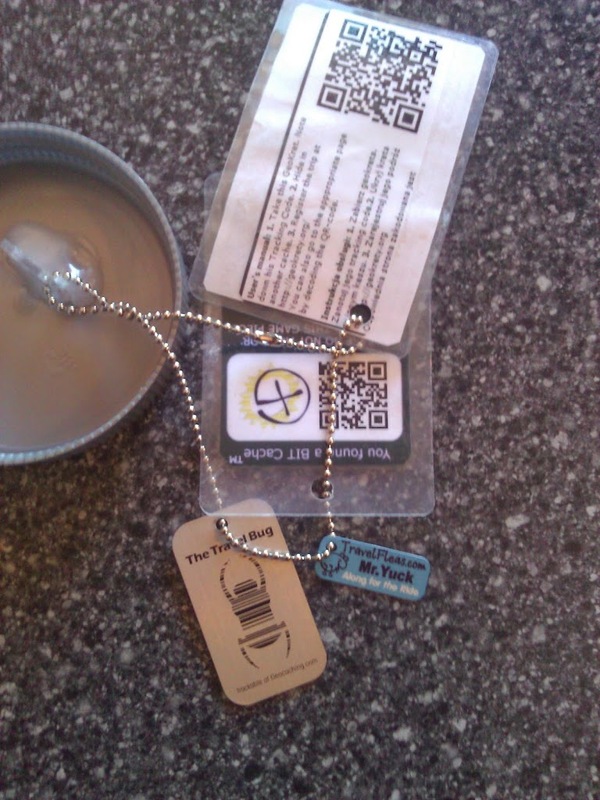 He retrieved it on May 3rd, 2013 in a Geocaching.com cache in Lockport, N.Y. This was after it made it’s trip to that area from a “wormhole” cache that moves Travel Bugs between the Charlotte, and Rochester, N.Y. areas. After taking to the event, he hid it stand alone in Indian Falls Cemetery in Indian Falls, N.Y., knowing that a few active OCNA users in the area would find it. He choose this cemetery when finding a Geocaching.com listed “front yard” cache across the street, which blocked the entire Cemetery from having a Geocaching.com listed cache in it. One of those OCNA users did find it the next day. But when another showed up about a month later, no cache to be found. Muggled! The Blogger figured the cache was gone forever, and felt really bad about it. He offered to make up a replacement cache, to which Termite Hunter agreed. 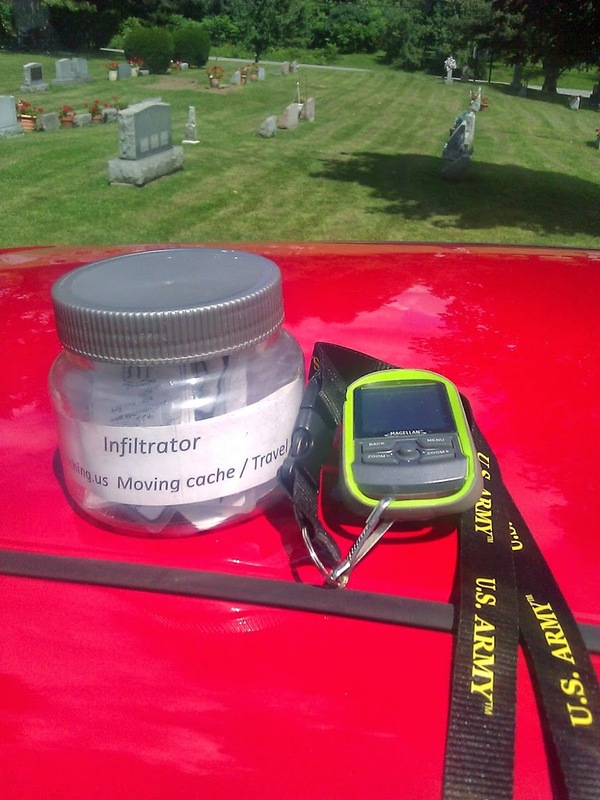 He did make that replacement cache, and personally handed it off to a Dayton, Ohio area user of our site when visiting that area after Midwest Geobash in July, 2013. Now it is true the cache was dropped in the Cemetery without permission, but it was only meant to be a temporary home, and the cache was intended to be picked up and taken to Dayton after 5 or 6 weeks. So fast forward to August 2013, and a Geocaching couple are looking for the Geocaching.com listed cache across the street from Indian Falls Cemetery, when they are approached by the Groundskeeper, asking them if they’re going to find the cache in her Cemetery too. She obviously took it home, checked out Geocaching, and decided to put the cache back. They had no idea what cache she was talking about, so she showed it to them. Not being OCNA users, they merely discovered the Geocaching.com Travel Bug inside the cache. This alerted Termite Hunter that the cache had somehow resurfaced. Mr.Yuck emailed the discoverer’s of the Travel Bug, and they relayed the story about being shown the cache by the Groundskeeper. The next day, he drove 80 miles round trip to retrieve the cache. In fact, the picture of the cache at the top of this blog post is the cache on top of his car seconds after being retrieved! The “real” Infiltrator was then mailed to the then current holder in Dayton, Ohio. The replacement, which was admittedly nowhere near as well done as the real Infiltrator, was discarded. That holder eventually took it down to Texas, and it has since made it’s way up to Washington State. Who knows where it will show up next. We wish it well on it’s travels! Glad to have a hand in this story! I took it from Texas to Seattle. It was a geocaching gold mine for sure. Wwll the Infiltrator and the travel bug were separated while in Michigan. The Cache made its way to Texas while the TB stayed in MI. The TB was picked up and taken close to the cache at the TX / OK border. Thanks to Geo Camper both have been re-joined and taken to WI on 2/19/2016. It is a long story getting them back together but it has been accomplished. (The GCDoc Video) Best LPC GEOCACHE!